Mechanical book binding is the process of fastening sheets of paper together with plastic or attachments that are inserted through holes that are punched or drilled into paper. Of the four major methods of binding, the mechanical binding method happens to be the least mechanical. Loose-leaf binding is one of the simplest and common types of mechanical binding. The common process is to take pages that are then placed in a book and fashioned together with a metal clamp. 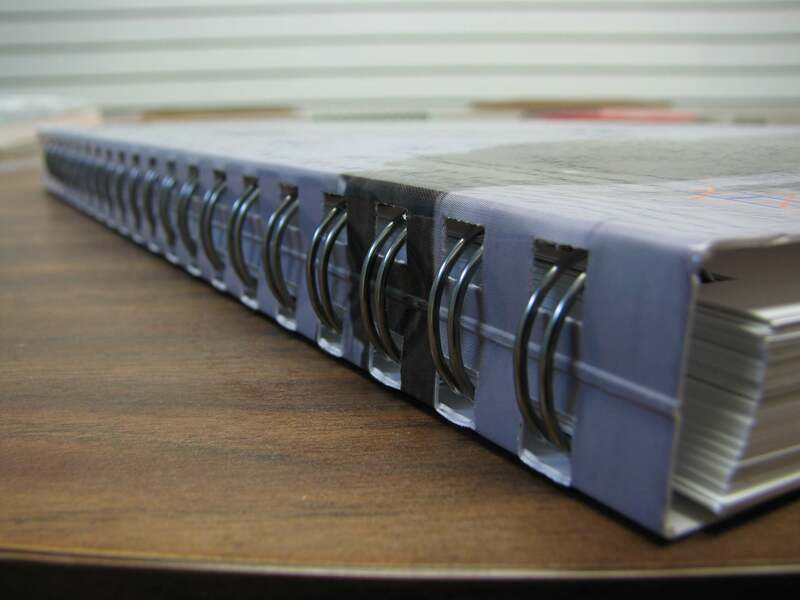 In other styles of mechanical binding, plastic strips are used to serve as clamps intended to hold the pages together in the document. There are more elaborate approaches to the loose-leaf binding process which are the common three-ring binders. In this process, metal rings are mounted in the binder and are fitted with holes punched into the paper sheets. 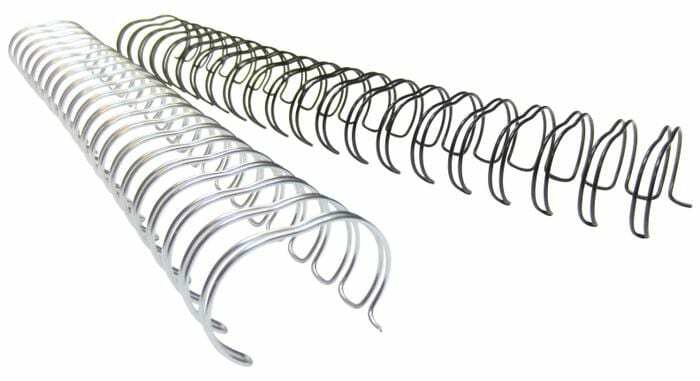 The benefit to ring binders is the advantage to have sheets inserted and removed easily. This feature makes ring binders the perfect choice for publications, presentations, and any documents needing to be updated frequently. 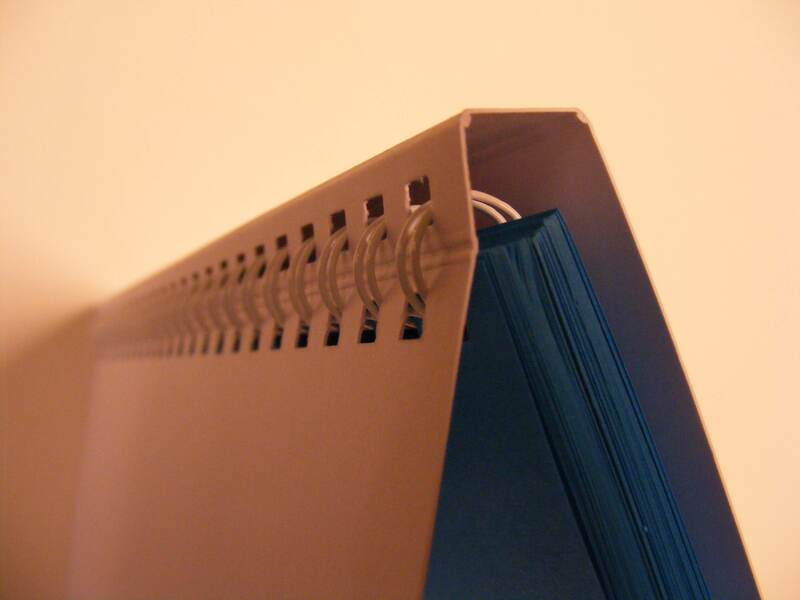 In the spiral binding process, a series of small holes are punched along the length of a document’s binding edge. Then a wire or plastic coil will be threaded throughout the holes. Once secured, the coil ends are crimped, securing the pages so that the document can be safely opened. Spiral binding is most often used when printing notebooks, cook books, guidebooks, some education materials, instruction manuals, or any other type of publications that needs to stay flat when it is opened. In both the spiral and comb binding process, a top and bottom cover could be added to the document. When using the loose leaf binding option, the binder acts as the cover and certain loose leaf binders will allow for cover sheets to be added into plastic pockets in the binders. Mechanical binding is an inexpensive process that is often used on short-run print jobs and publications that will be receiving heavy usage. Varick Street Litho is at the cutting edge of binding. Serving both the local New York area and with the ability to serve local, national and global markets. Varick Street Litho houses an entire graphic design department, providing clients with unique, new material. We keep our clients engaged throughout each step of our creation process in order to ensure the project meets brand guidelines, captures their vision, and appeals to customers. Varick Street Litho has a creative graphic design team and we can bring your vision to life. We serve both the local New York area and with the ability to serve local, national and global markets. We specialize in Binding Services, Book Binding, Case Binding, Collating & Gathering, Folding, Imposition Layout. Mechanical Binding, Perfect Binding, Saddle Stitching, and much more.